Welcome to the Aurora Borealis Lodge. 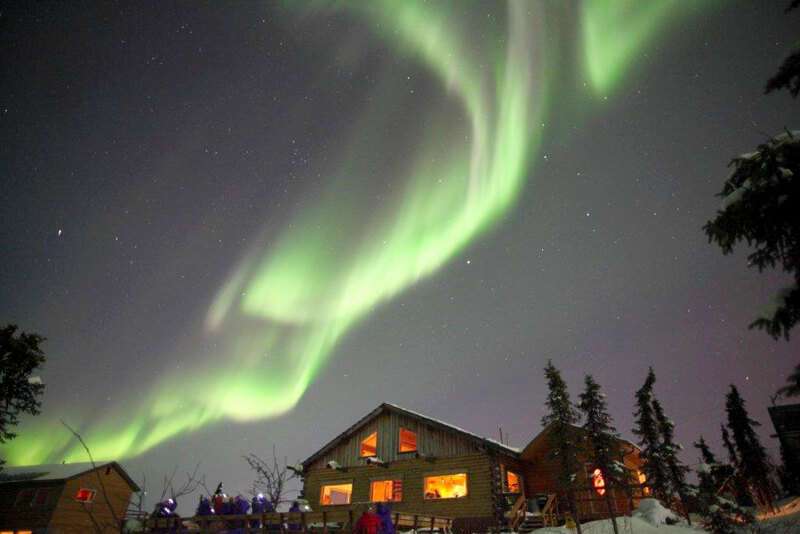 We are located just 20 miles north of Fairbanks in the famed Cleary Summit area, known locally and internationally as one of the best places to view the northern lights in the world! 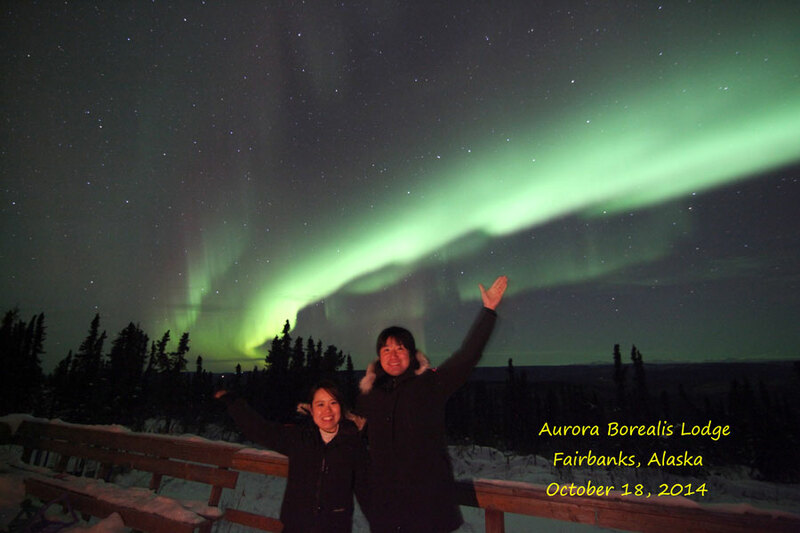 We offer accommodations, as well as evening aurora tours for those who are staying in a Fairbanks area hotel. Come join us for a chance to view the beautiful lights in the sky. 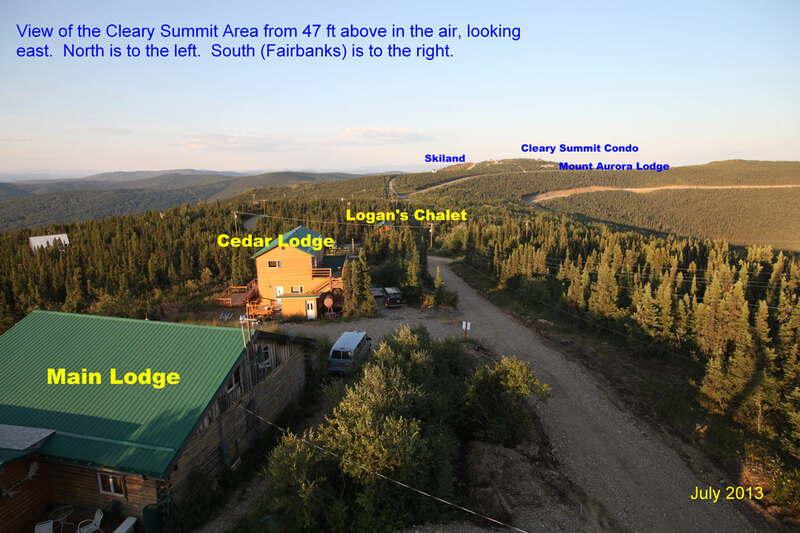 Stay with us north of Fairbanks. Stay in one of four comfortable guest rooms in our Cedar Lodge, or enjoy the accommodations of Logan’s Chalet with its unique Alaskan log cabin style. Both choices offer outstanding outstanding views of the surrounding landscape and the night skies. The north-facing windows of each Cedar Lodge room provide excellent aurora viewing opportunities. Guests in Logan’s Chalet have exclusive access to their own 15 foot high aurora viewing platform. August 20 through Early April. We have some dates that are either sold out, or closed. And when we are sold out, this applies to self-drive tours as we base it on our capacity at our viewing lodge, and not our shuttle van. Please click on the TOUR page to see this season’s closed or sold-out dates. We are always closed on Thanksgiving Day. Please be sure to e-mail or call us to check on other dates as we may have non-listed closures as well.